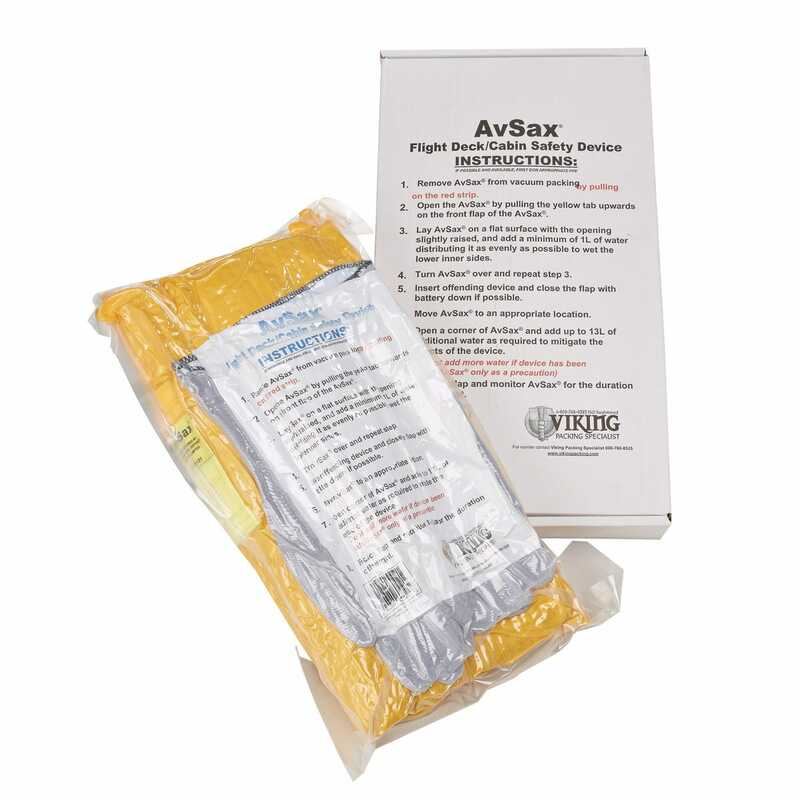 Used by over 60 airlines including Delta, American, and FedEx, the AvSax is a complete fire containment system for portable devices like iPads and laptops. Poor quality or damaged batteries can overheat, causing the device to catch fire and potentially explode. FAA data show that over 100 such incidents with "smoke, fire, extreme heat or explosion" on passenger and cargo planes have occurred in the past few years. The AvSax can minimize that danger in seconds with its unique use of water. Simply pour at least two liters of water into an AvSax and then drop the burning device into the bag. 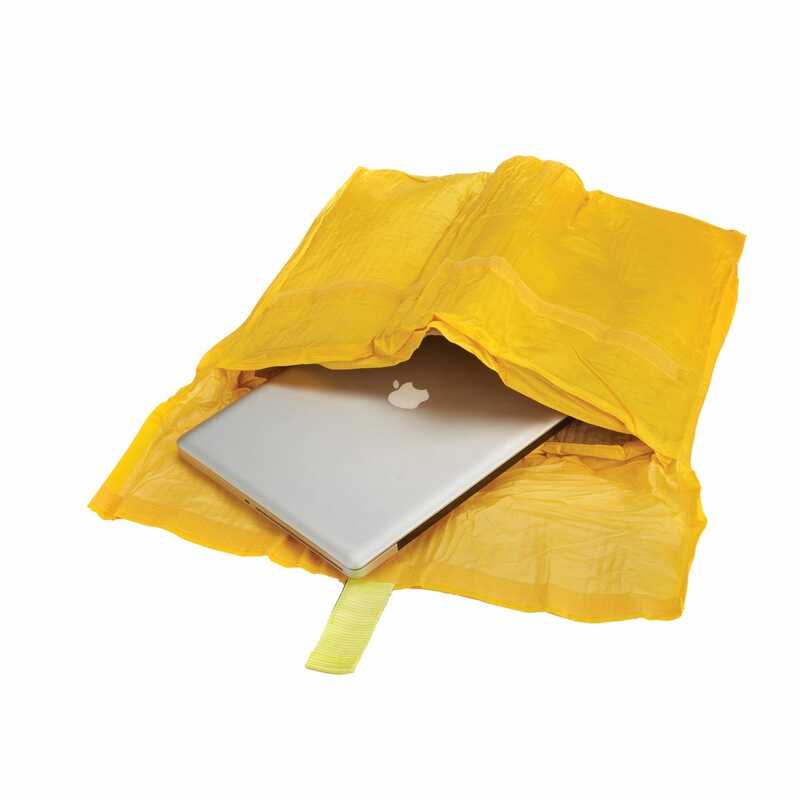 The water activates the polymer gel inside the bag, causing it to expand around the device. Should the device continue venting, the AvSax is tough enough to absorb the explosive force. In short, the AvSax cools the batteries in the device, reducing the likelihood of the battery catching fire but if it does go into thermal runaway it is all contained within the bag. 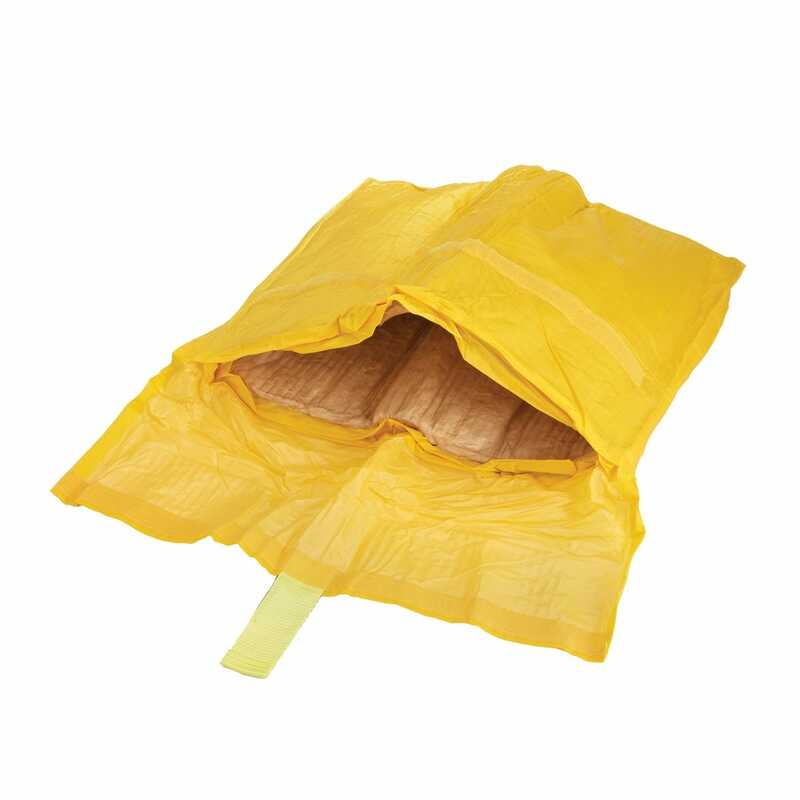 Includes bag and protective gloves for handling the overheating device. Measures 19” x 7” x 2” packed; weighs 4 lbs.